Looking excellent! Please post the MBAM log, and we'll go from there. I need to remove the tools we installed on your machine. We also have some programs on your machine that need updating to help protect you in the future. The program will run for a few moments and then notepad will open with a log. Please paste the log in your next reply. You can uninstall ESET Online Scanner at this time. I recommend keeping Malwarebytes Anti-Malware installed. Make sure to update it and run it at least once a week. If it finds things such as PUP's (Potentially Unwanted Programs) you can delete those with no worries. However, if it finds something like a trojan, come see us. Your current version of Adobe Flash Player is out of date. Please click the link below to go to Adobe's page to update it. Another weapon against malicious programs and viruses is to keeping other programs updated. There are several programs out there that can check for out of date programs on your computer. One is Filehippo. You can run this on a weekly or monthly basis to check your programs for updates and then it will provide a link for you to download them. You will also need to Defrag your hard drive, as it's showing 13% fragmentation. Please download and install CryptoPrevent to lock your machine down from this infection. Watch what you open in your emails. If you get an email from an unknown source with any attached files, do not open it. When installing new programs, don't be "click happy" and click through the screens. Many programs come with adware in them and are set to install them by default. Several programs require that you uncheck or select no to prevent the installation. Take you time and read each screen as you go. To help protect yourself while on the web, I recommend you read How did I get infected in the first place? 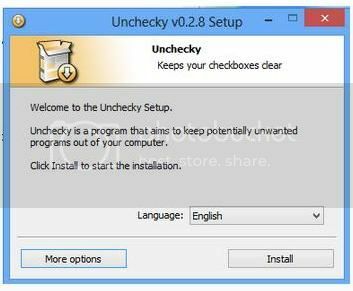 This is a very good little program that will automatically uncheck any boxes during a software installation. This helps prevent the software from installing any malware that is by default checked while the program is being installed. Click the very large Download button. Once open, click the Install button. 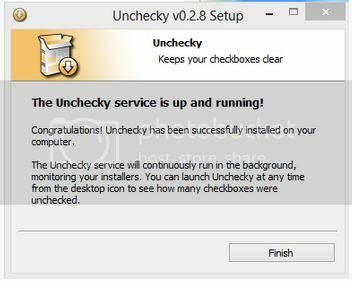 Unchecky is now installed and will help you keep unwanted check boxes unchecked. Since this issue appears to be resolved ... this Topic has been closed. Glad we could help. <br /><br />If you're the topic starter, and need this topic reopened, please contact a staff member with the address of the thread.<br /><br />Everyone else please begin a New Topic.